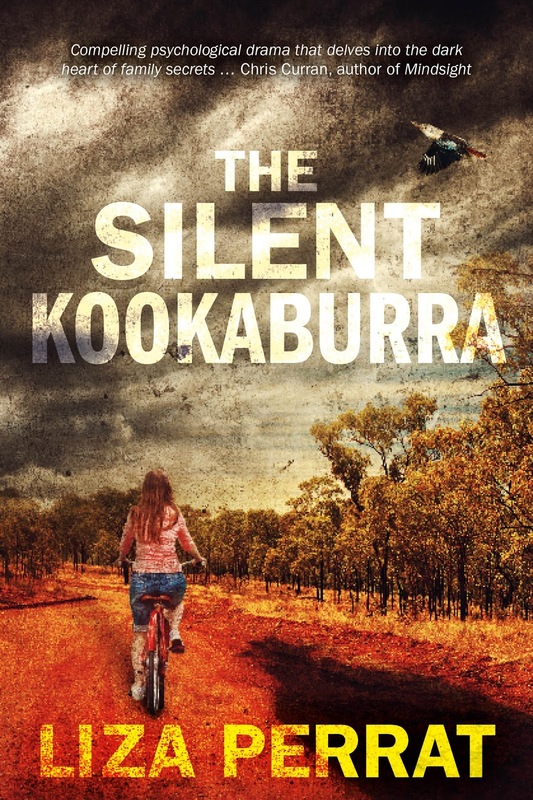 For a week beginning this Friday, 24th March, The Silent Kookaburra, my psychological suspense novel set in 1970s Australia, will be on promotion for only 99c/p on a Kindle Countdown Deal. We left Wollongong around five o’clock, Dad driving the Holden to the Royal National Park, which was halfway up to Sydney. While my father wrangled with the tent pegs, amidst foraging currawongs and crimson rosellas, Mum and I kindled up a campfire and roasted the snags. ‘Look at him.’ I pointed to a large flat rock. 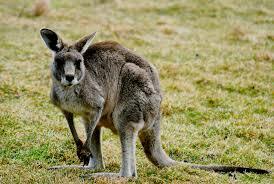 Behind it, a shy wallaby peeked out at us, rubbing its forepaws together as if clapping at our show. ‘Aw, what a sweetie,’ Mum said, handing me a sausage sandwich smothered in tomato sauce. ‘Defending her nest,’ Mum said as we toasted the marshmallows. And in the falling darkness of the coastal breeze we followed the scents of the night creatures: long-nosed bandicoots, brush-tailed possums, sugar gliders and many others whose names I didn’t know. The shriek of a sulphur-crested cockatoo woke me on the Saturday morning. I struggled from my sleeping bag, stepped outside the tent, walked towards the smouldering campfire and almost trod on a snake. Its slimy scales gleamed in the pearly dawn light. I almost peed myself, but held it in, not daring to cross my legs; afraid to budge an inch. A blob of sweat dribbled into my eye. My father lurched from the tent as the black snake reared up, its thick underbelly a streak of fire. Head pointed, forked tongue out, it fixed one dark eye on me and hissed. My throat seized up, crazy moths flapped about in my heart. I wanted to run, to scarper from the snake as fast as I could, but Dad was holding up a warning hand. My schoolteacher’s voice clanged through my mind. Blackies can be dangerous … can hurt you badly but they likely won’t kill you. The red-bellied black snake sure looked deadly to me. My bladder was about to burst; my legs wobbled –– jelly left out of the fridge in a heatwave. Go snake. Just please go away, please. The French Resistance was a movement that fought against the Nazi Occupation of France during WW2, and against the collaborationist Vichy régime. 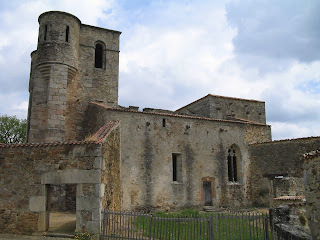 Armed men and woman (called the Maquis in rural areas such as portrayed in my novel, Wolfsangel) formed Resistance cells who carried out guerrilla warfare activities, published underground newspapers, gained intelligence information, and helped Allied soldiers escape from behind enemy lines. On this day, 15th March, in 1944, the Conseil National de la Resistance published a charter demanding that social and economic reforms be implemented after France’s liberation, such as universal suffrage and the equality of all citizens. 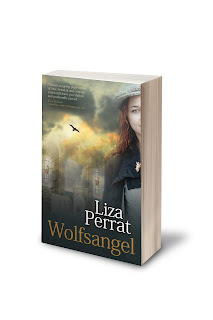 For Wolfsangel, the second (standalone) novel in my French historical trilogy: The Bone Angel, I was fortunate enough to speak with several French Resistance fighters still living in the area in which the novel is set, in a rural village just west of Lyon. The helmets of the German soldiers perched atop the train gleamed in the moonlight. I stared at them with hatred, those sinister sentries cradling their guns, their eyes peeling the countryside for danger, and saboteurs. I kneaded my angel talisman harder. Dd-dd-dd-dd. Faster, it seemed, and deafening, as the train was almost upon us. André hit the button and any further sounds were lost as the train exploded in a golden shatter of fireworks. Bursts of sparks fanned into the navy sky, metal shrieking as if it were in agony. Our hands clamped over our ears, we cowered from shards of flying metal. 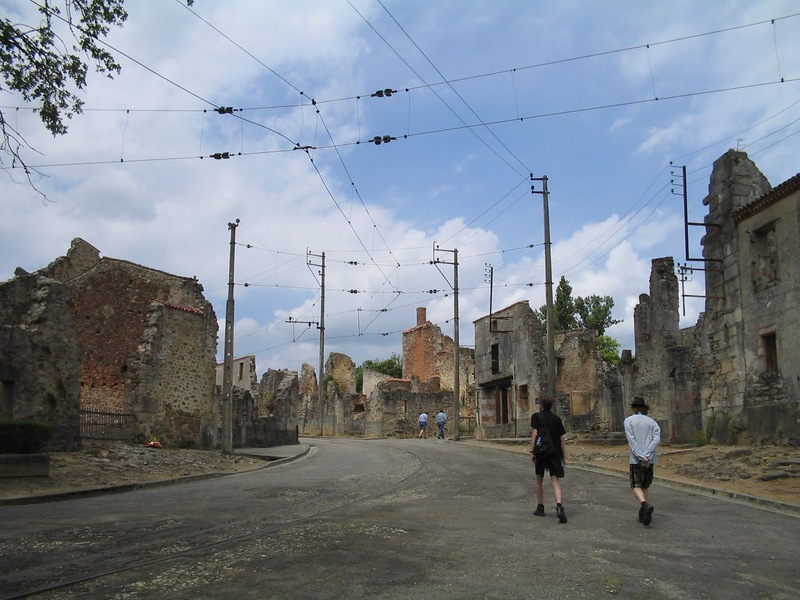 The Germans were shrieking –– one continual, torturous wail –– their helmets and uniforms flaming torches as they tried to flee the burning wreckage. The locomotive screamed like a shot horse and groaned as the whole train lurched sideways, cavorted off the rails and crashed into the ravine on the opposite side of the track. 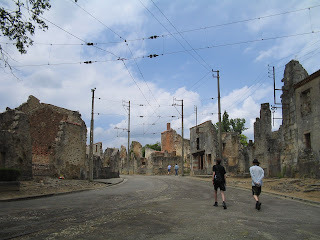 ‘Let’s move it,’ Patrick said. The moonlight lit their smiling faces as they hurtled back along the woodland path to the bicycles. I breathed out, long and slow. Another success for la Résistance. Buy the Ebook of Wolfsangel for only £2.99/$2.99/Euros 2.99 at all Amazon stores. And if you are ever near Limoges, I would highly recommend a visit to Oradour-sur-Glane, on which the war-crime tragedy of Wolfsangel is based. With thanks to Wollongong newspaper, The Lake Times Advertiser for running this story on my novel, The Silent Kookaburra today.